Travel blogger, music lover & disaster magnet. The British capital might be famous for its extravagant and luxurious shopping or high-end department stores - the likes of Harrods or Debenhams -, but it is in the city's street markets that the bohemian spirit of London comes to life. Whether you are into a gangster's ambience, a hipster's paradise, musical freakiness or rather go for quality and cheap for food indoors or in the open-air, London has markets for any kind of bargain hunter or wanderer in search of a delightful experience. I know this might not be the most attractive market by popular choice, but I'm a hipster at heart and Brick Lane Market is absolutely my favourite, to the point that I moved near there and put up with the smell of curry for a year just to visit it every Sunday. What the Brick Lane Market lacks in number of stalls and popularity in comparison to Camden Market, it makes for it in simplicity and harmony. As you walk down Brick Lane, you come across different food stalls either in allocated halls or along the street, offering dishes from all over the world, pastries, juices and even a cheeky piña colada. 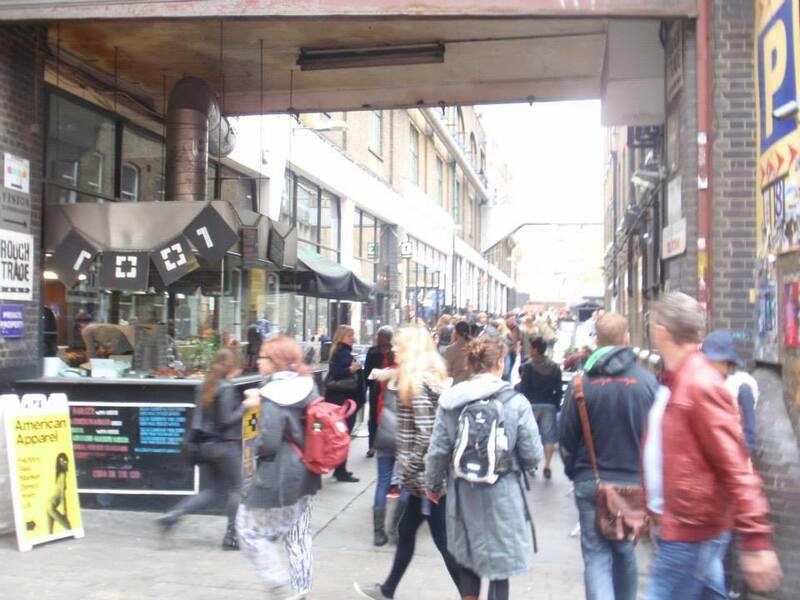 If you are looking for vintage clothing, accessories or objects, Brick Lane Market is the place to shop. As the pioneer of the vintage fashion in London boasting the most stylish antique clothing and accessories, East London is the place to go retro. Check out the subterranean stalls on the side of the street, where you'll find a huge variety of handicrafts, clothing, high-tech items like hipster vintage cameras, rock memorabilia and all sorts of knickknacks, including Indian feathers. As to the other type of fashion, you'll find the same kind of dresses in Brick Lane Market, Camden Market and Portobello. They all buy the clothes from wholesales in Whitechapel. But tourists love them and some Londoners as well. Prices vary from 10 to 18 but you can get some good promotions and discounts like 2 dresses for £15 and so on. Make sure you check out all the prices before you buy. As you bustle along the market, keep an eye on extraordinary last-minute offers. You might find some original Converse for £25 or a tripod for £5. In terms of entertainment, you might find some street performers who believe themselves to be Angus Young and give an explosive performance in a corner of the street, or come across other type of musicians who play different styes, ranging from soul to pop and folk. fourth-most popular visitor attraction with over 100,000 visitors each weekend. With a maze of numerous stalls across a large area of Camden Town, the market offers bric-a-brac, clothing and crafts for the punk at heart or music aficionado at every level of freakiness. If you like to wear flower headbands, these markets offer countless opportunities to get one for £3. They are a colourful and, why not, poppy accessory during summertime. Immerse yourself in the bohemian and wacky ambience of the market, buy some snazzy clothes, or visit the famous food market where you can have a meal sitting on a motorcycle with a prime view of the canal. Beware of the time machine in the middle of the market and travel to the future in the store Cyberdog, boasting UV clothing and objects that seem to be stolen from Star Wars. Every Sunday Portobello Market becomes the beating heart of Notting Hill, a symbiosis of hip stores, craftsmanship and art in general that goes beyond what's depicted on Julia Roberts' and Hugh Grant's film. Bustling with countless beautiful stalls that run through Notting Hill and specialist dealers, Portobello Market is the place to buy exclusive antiques and bric-a-brac items. Like in the rest of London markets, here you'll find clothes, food and street entertainers that will either make you laugh or cry at their eccentric performances. It might be true that every market in London offer food stalls, but when it comes to quality ingredients, variety of dishes, original flavour and low prices, Borough Market has no rival. As you browse from stall to stall beneath the towering arches, you'll find a medley of choices for lunch, such as paella, wraps, burgers, falafel, hot dogs and even oysters. Fancy a sweet snack? No problem. Indulge in the cookies, sweets, cakes and pastries that Borough Market offers. 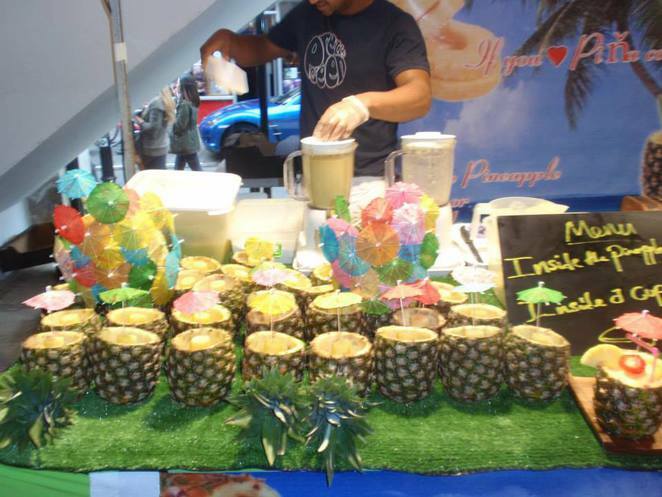 If you are looking for specific ingredients, there are some stalls offering worldwide products like endless types of fresh cheeses, meats and fine wine that are a foodie's dream. Steeped in History, the market was built in 1876 in the Victoria era but has operated on the site since the 1600s. Its influence is such that it operates seven days a week, though it is particularly open at weekends. Be ready to shop till you drop as you browse through popular fashion, arts and crafts, and knick-knacks. Here you can find vintage objects like old cameras or record players. There are also acrylic and brushes for the artists who visit the market. If you want to grab a bite, the market is bordered by restaurants and food stalls to satisfy any craving.